Quarter of Nine, Saturday's Children. 1929. Drypoint. McCarron 78. 9 3/4 x 12 3/4 (sheet 12 7/8 x 17 7/8). 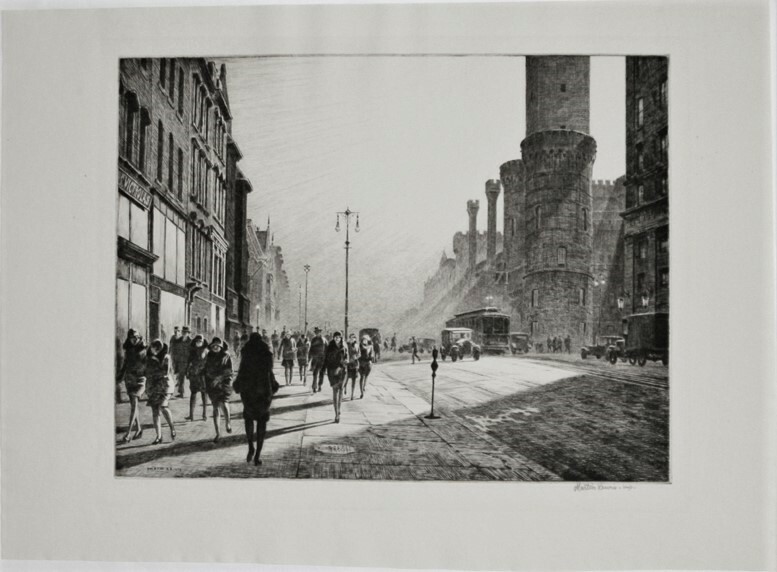 Illustrated: American Etchers: Martin Lewis. Edition 107. A fine impression printed on Swedish cream wove paper with full margins. Signed and annotated "imp" in pencil, indicating a proof printed by the artist. Housed in a 19 3/8 x 21 3/8 1-inch black stepped wood frame. Price upon request. According to McCarron, "The title is derived from the nursery rhyme that begins 'Monday's child is fair of face,' in which 'Saturday's child has to work for a living.' 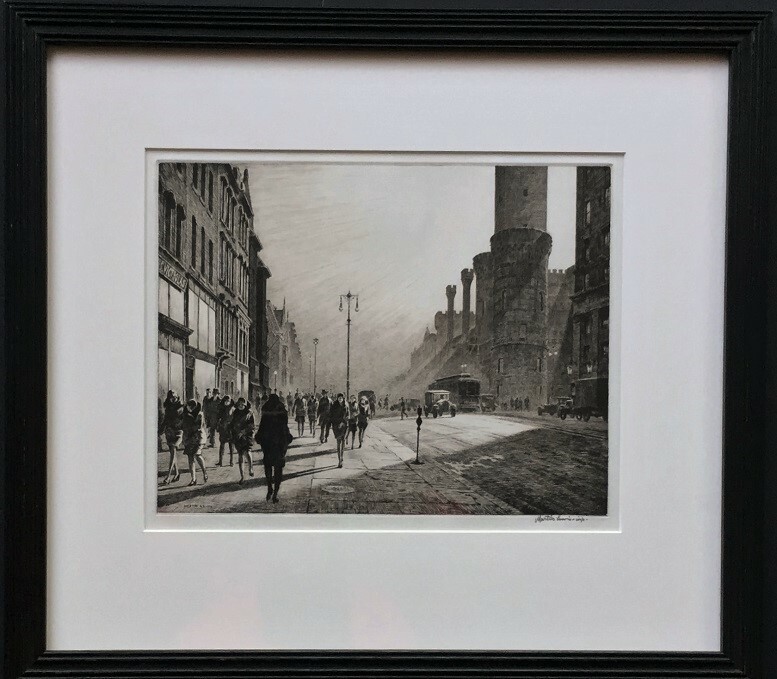 The scene depicts women on their way to work in stores, early on Saturday morning on Thirty-fourth Street at Park Avenue (identified by the Seventy-first Regiment Armory, now demolished, at right). This was near Lewis's studio at 145 East Thirty-fourth Street. The same location, from different vantage points, was used for several other prints, including Rain on Murray Hill (No. 75) of 1928." (page 144).